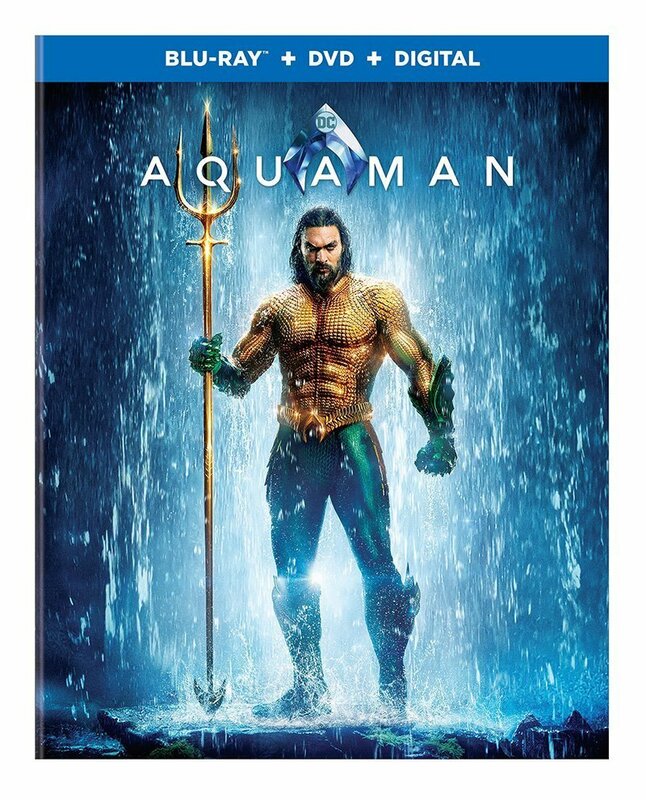 Aquaman blu-ray swims home this March! 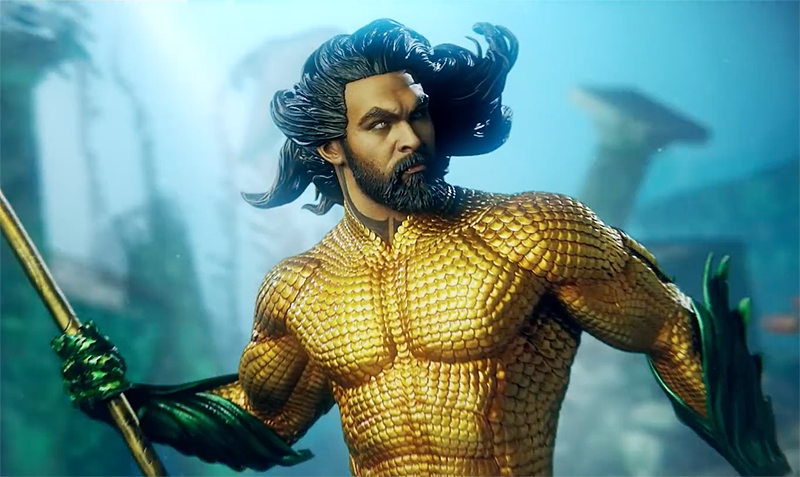 With the DC superhero hit Aquaman now available on digital platforms, DVD, Blu-ray and 4K, Sideshow Collectibles has released a new video exploring the making of their superb Aquaman statue scheduled to hit stores in the 4th quarter of this year. The video features the film’s director James Wan, and you can check it out below! Click here to pre-order the Aquaman statue! The Aquaman Premium Format Figure measures 25” tall, capturing the majesty of the aquatic DC hero as he appears on the silver screen. Inspired by Jason Momoa’s breathtaking performance as Arthur Curry AKA Aquaman, this painstakingly sculpted statue features a lifelike portrait with golden eyes and flowing hair to represent his heroic undersea presence. The deep-sea hero stands atop an Atlantean architecture base far beneath the waves, with fluttering kelp, coral, and barnacle details setting the scene. Carved stony tentacles wrap the base, and the Aquaman insignia proudly sits in the center of the display. The Aquaman Premium Format Figure features an orange metallic suit sculpted with incredibly detailed scale armor, paired with sculpted green metallic gloves and leg armor. In his right hand, Aquaman clutches a shining golden trident intricately inscribed with Atlantean text, and at his hips sculpted golden tassets and a belt add to Arthur Curry’s battle-readiness. The figure also wears textured green fabric pants and boot elements carefully tailored to complete the costume inspired by Aquaman’s most iconic, colorful look. The Exclusive Edition includes a swap-out left hand holding Ocean Master’s helmet. With a shining silver helm, pointed fins, and red eyes, this undersea trophy makes a tidal-ly exciting additional display option for your statue. From Warner Bros. Pictures comes an action-packed adventure that spans the vast, visually breathtaking underwater world of the seven seas. The film, starring Jason Momoa (Justice League, Game of Thrones) in the title role, reveals the origin story of half-human, half-Atlantean Arthur Curry and takes him on the journey of his lifetime — one that will not only force him to face who he really is, but to discover if he is worthy of who he was born to be… a king.